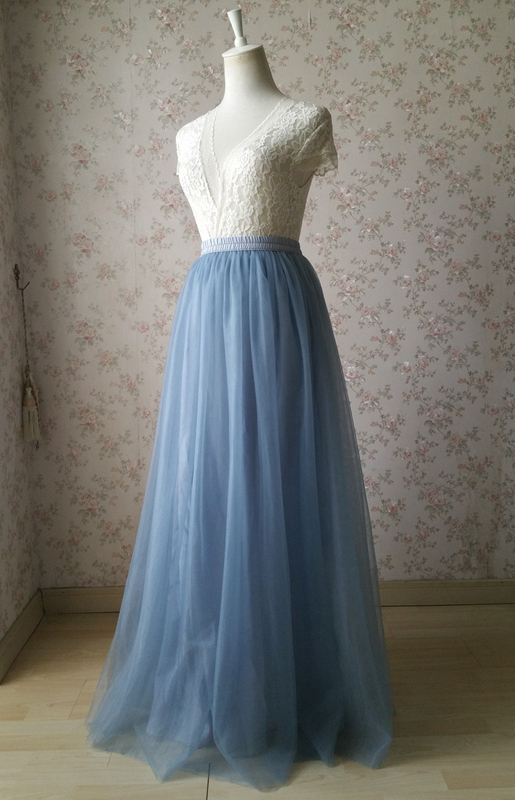 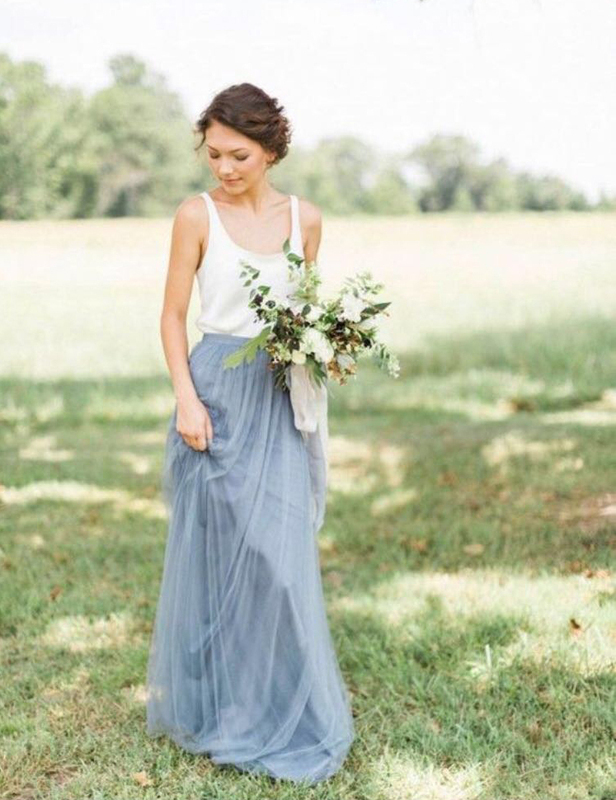 DUSTY BLUE TULLE SKIRT, Women's Tulle Puffy Skirts, Long Tulle Skirt, High Waisted Dusty Blue TULLE SKIRT, Dusty Blue Bridesmaid Skirts, WEDDING Skirt, Plus Size, Dusty Blue, Blush Pink, White, Custom made available. 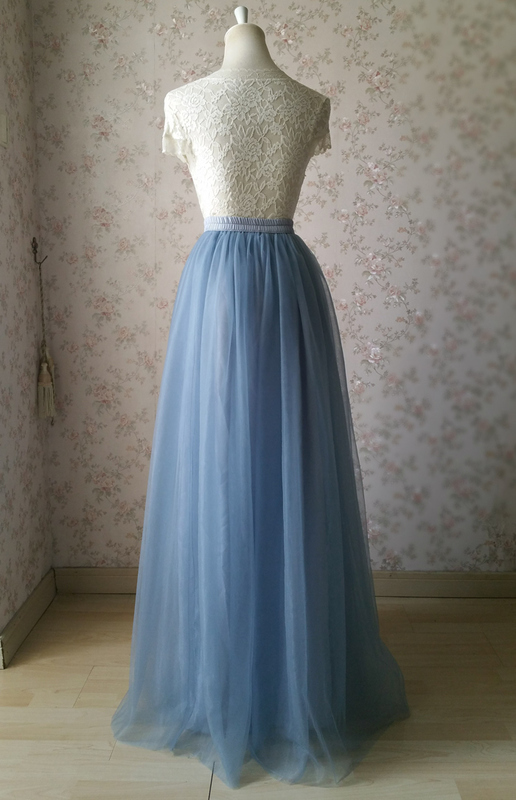 This dusty blue is very beautiful and special color, we found this fabric for long time. 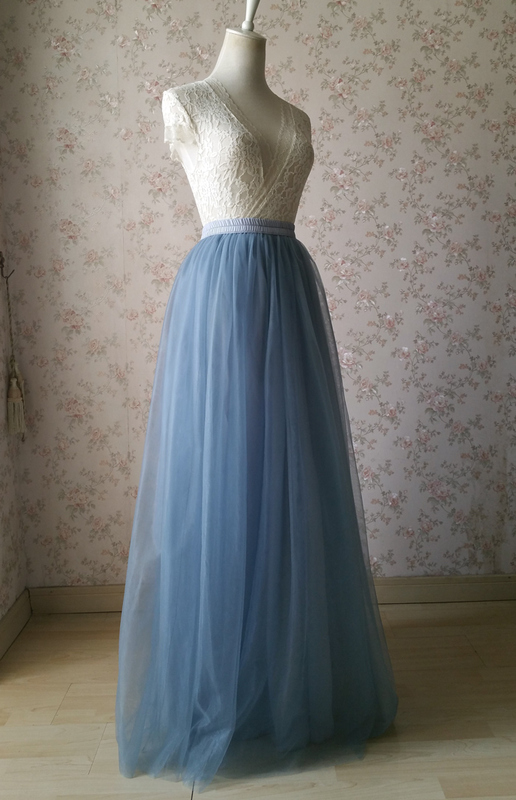 Don't miss this unique tulle skirt. 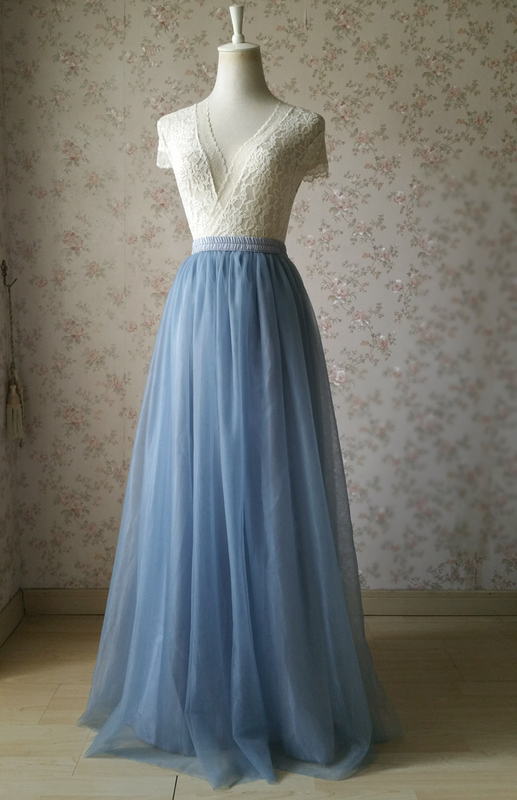 * This maxi dress is made of top quality light tulle fabric with satin lining, different from straight tulle, which is a little bit puffy. 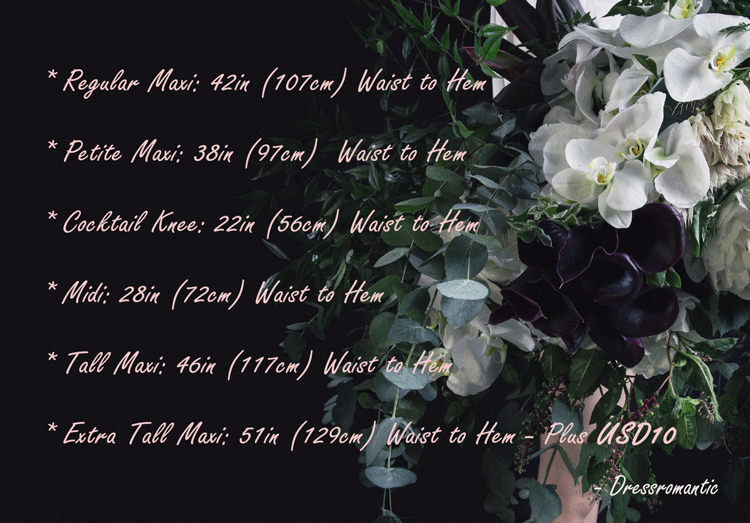 * Elastic waist / full circle. 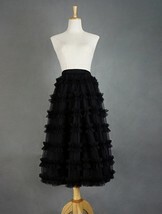 It's full pleated in order to get a perfect look. 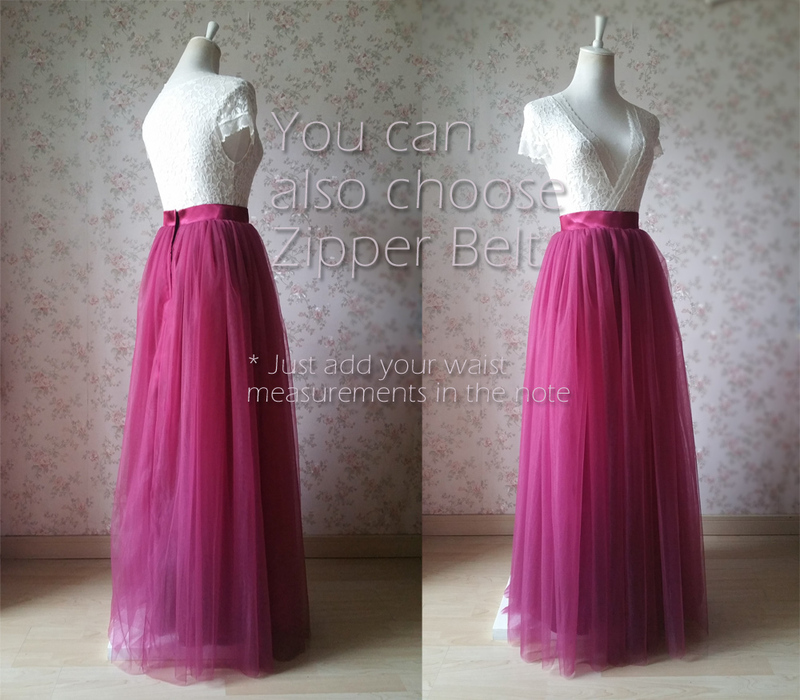 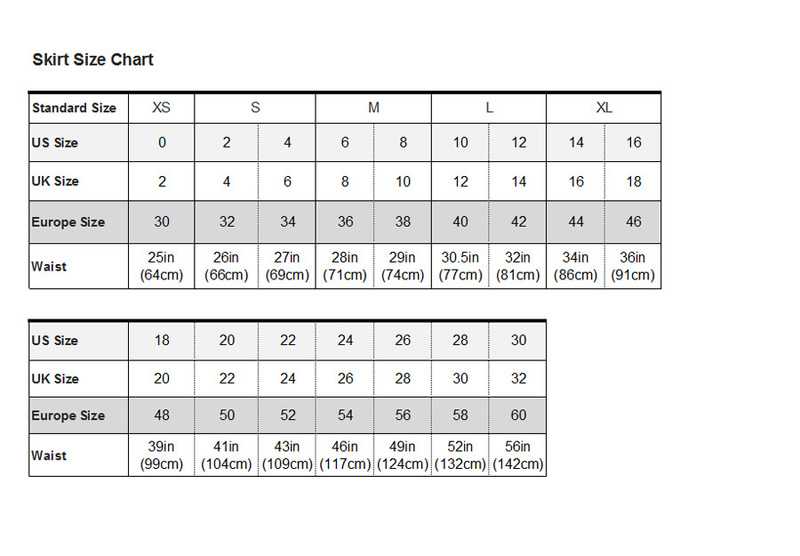 * We can also make it as fixed waist band, just tell us your exact waist measurements (what inches). 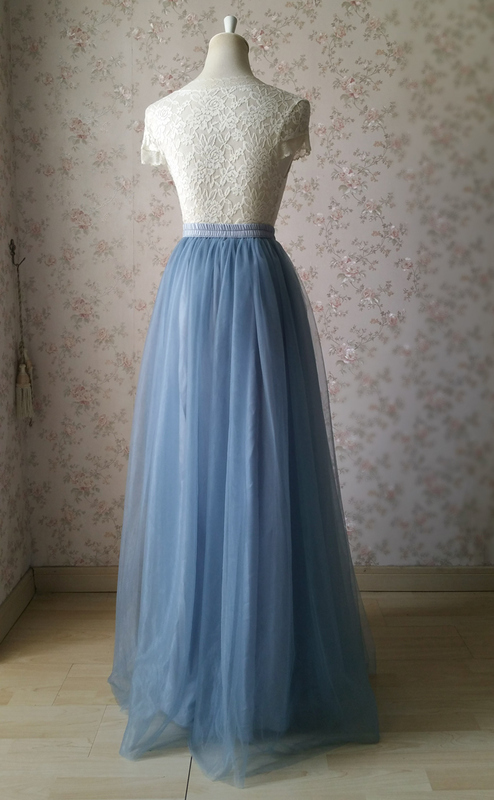 * Processing time is around 10 days.